I recently had the chance to participate in a Google Hangout with Jeremy Roberts of HiringSolved as an introduction to the speakers of their upcoming conference on Feb 7 in NYC (HIREconf). You can watch the recording of our chat here or play the video below to learn a little about my background and my thoughts about the evolving role of technology and specifically artificial intelligence solutions when it comes to sourcing and recruitment, which will be the topic of my opening keynote at HIREconf. 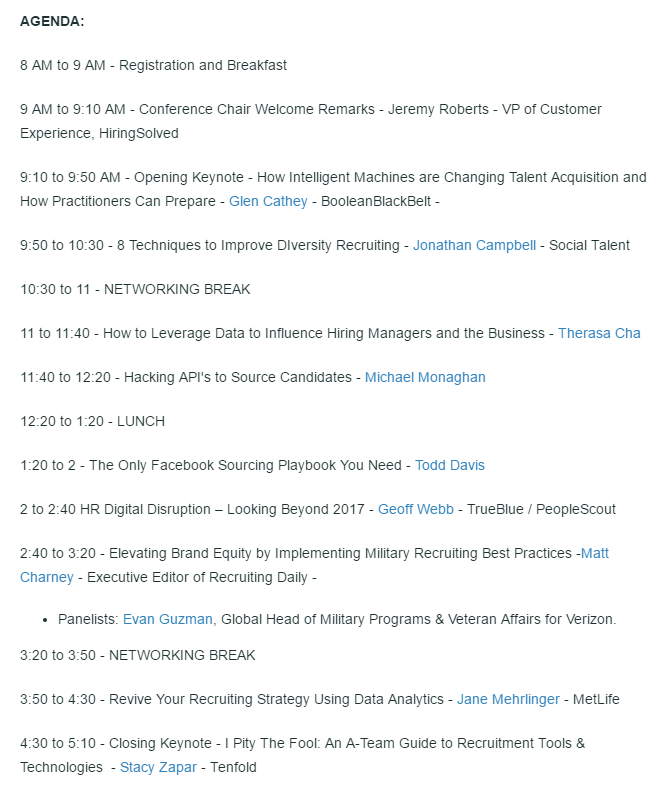 I’m planning on addressing how intelligent machines are changing talent acquisition and how sourcers and recruiters can prepare for today and tomorrow.